El Al provided airplane with resting chamber; PMO says no additional cost was involved; accommodation and security costs unknown. Prime Minister Benjamin Netanyahu on Wednesday returned to Israel following a trip to Washington that he called "historic". The flight that brought the prime minister and his entourage to the American capital cost $1,157,000, which is NIS 4,611,000. The sum was paid by the state to El Al, which won the tender announced by the Prime Minister's Office. 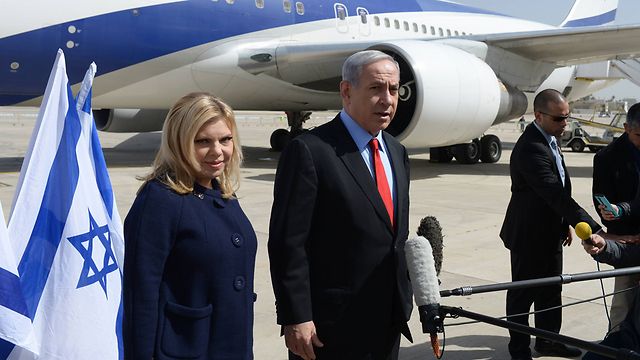 The plane was outfitted with a resting chamber for Netanyahu and his wife. The couple spent the flight resting, and the prime minister did not at any point come out to speak with reporters accompanying the flight. Netanyahu landed in Washington on Sunday and departed on Tuesday afternoon. The $1.57 million price tag did not include the cost of a hotel or the expenses for the entourage's accommodation and security. "The procedure for the prime minister's flights abroad for diplomatic meetings has not changed and is identical to what was the norm in the Prime Minister's Office in the past," the PMO said in a statement. "In accordance with instructions by the security forces, the prime minister flies abroad only on Israeli airlines. Communication with the airline companies is done by the government's travel company, which answers to the Finance Ministry." The PMO added that El Al's price quote included a note that there would be no additional charge for the resting chamber. 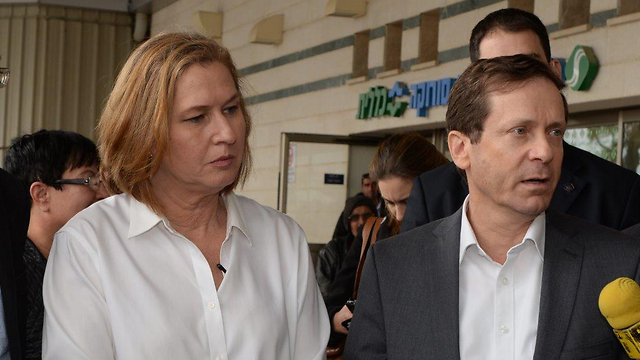 Zionist Union leader Isaac Herzog, along with running mate Tzipi Livni, continued tour of Negev, visiting Soroka Medical Center; Herzog says health not on Netanyahu's agenda. Zionist Union leader Isaac Herzog, Netanyahu’s prime rival in the upcoming elections, continued a tour of Israel’s southern region, near the Gaza border, on Wednesday, visiting the Saroka Medical Center with running mate Tzipi Livni after reports of congestion and crisis in the Israeli health system. “Thousands of people are moaning in emergency rooms, families are waiting hours upon hours for their loved ones to be admitted and receive treatment, and they say to themselves ‘Why is the health system in this state, on the verge of collapsing,’” said Herzog at a news conference held at the southern Israeli hospital. “The answer is that, among other things, it is not even on Netanyahu’s agenda. He has been the acting minister of health for the past two months, and we haven’t heard about one meeting he’s conducted on the issue,” said Herzog. Before visiting the protest tent set up by workers fired from Israel Chemical’s Bromine Compound in the south, Herzog said that his coalition would present a wide-ranging plan to strengthen the health system, and would allocate a billion and a half shekel a year, including 300 million shekel to shorten lines. “We will strengthen the human infrastructure, so that the pressure and frustration in the hallways and the sick person everywhere will no longer be seen,” said Herzog. Herzog directed his words at Netanyahu and said: “Thousands are dying and sick and I say to Netanyahu – you cannot inflame the discussion and forget that thousands of people in emergency rooms are asking themselves what happened to the health system under your responsibility for six years now." Tzipi Livini also joined in on the criticism of Netanyahu and said: “The citizens of Israel and the sick people who are here do not need a prime minster who tells them what scares them, but rather one that will listen to them, what their fears are and what they are distressed about. People in the Negev and the periphery live less than those in the center. It’s related to what they receive in the area here, outside of the hospital, and to the ability of the hospital. Unfortunately, instead of actually dealing with the Iranian threat, Netanyahu is dealing with his own campaign,” added Livni. Tzipi Livni also referred to an incident that occurred Tuesday where Arab MK Hanin Zoabi had a soft drink poured on her head by an activist tied to right-wing activist Baruch Marzel during a discussion at a law school in Israel. “These are the future partners of a Netanyahu government,” said Livni. US and Iran wrap up 3 days of talks over Iran's nuclear program, a day after Netanyahu said deal being negotiated was serious mistake. Significant gaps and important choices remain in talks on Iran's nuclear program, US Secretary of State John Kerry said on Wednesday, after completing a round of talks over three days with Iranian Foreign Secretary Mohammad Javad Zarif. Nonetheless, Kerry pushed back against the Prime Minister Netanyahu's assertion that a developing nuclear deal with Iran should be scrapped. Kerry said he would not be distracted from the talks by external factors or politics and any deal would include intrusive access and verification measures and increase the "breakout" time needed for Iran to build a nuclear weapon. The three-day-long talks were completed just a day after Prime Minister Benjamin Netanyahu said the deal being negotiated was a serious mistake. The secretary of state says if talks are successful, the deal being negotiated will "achieve the goal of proving that Iran's nuclear program is and will remain peaceful." Picking up on President Barack Obama's comments, Kerry says "no one has presented a more viable lasting alternative for how you actually prevent Iran from getting a nuclear weapon." 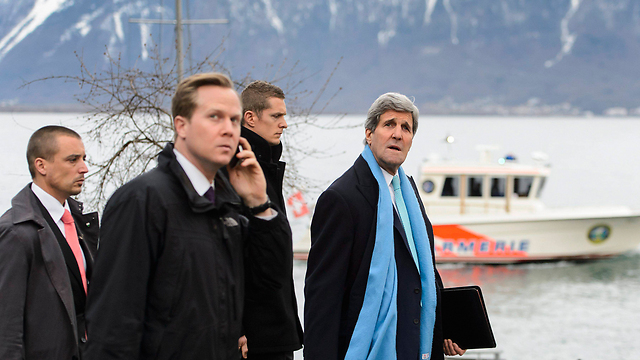 Kerry and Iran's Zarif have negotiated for more than 10 hours since Monday in the Swiss lakeside town of Montreux, hoping to work out a framework deal by late March. "We have made some progress but have a lot of challenges yet ahead," a senior US State Department official told reporters traveling with Kerry. "The bottom line here is that (there is) no deal to announce to anybody today, but very intense, hard work, some progress, but tough challenges yet to be resolved," the official said. "We expect that we (and the Iranians) will regroup bilaterally, with the European Union present as well, on the 15th of March, location to be confirmed but most likely Geneva." Asked if he thought they had made progress, Zarif told reporters: "We have, but a lot of work remains." However, Netanyahu's controversial speech to the US Congress on Tuesday, where he harshly criticized the diplomatic efforts to resolve the dispute, may make it harder for the Obama administration to sell the potential deal back home. US negotiator Wendy Sherman will brief Israel soon on the talks and Kerry will meet the foreign ministers of Britain, France and Germany in Paris on Saturday, the senior US official said. Netanyahu argued that rather than preventing Iran from acquiring nuclear arms, a deal would "all but guarantee" that it would one day get the atomic bomb, putting Israel, the wider region and US interests at risk. US President Barack Obama responded within hours saying that Netanyahu had offered no "viable alternatives" to the current course of negotiations. Iran and world powers are trying to put a framework agreement in place by the end of the month, despite the misgivings of Israel, US congressional Republicans and some Gulf Arab states. Such an accord would be followed by a comprehensive agreement to be completed by the end of June. The aim of the negotiations is to persuade Iran to restrain its nuclear program in exchange for relief from sanctions that have crippled the oil exporter's economy. The United States and some of its allies, notably Israel, suspect Iran of using its civil nuclear program as a cover to develop a nuclear weapons capability. Iran denies this, saying it is for peaceful purposes such as generating electricity. The prime minister has been warning for over 20 years that Tehran is close to achieving its pursuit of nuclear weapons. 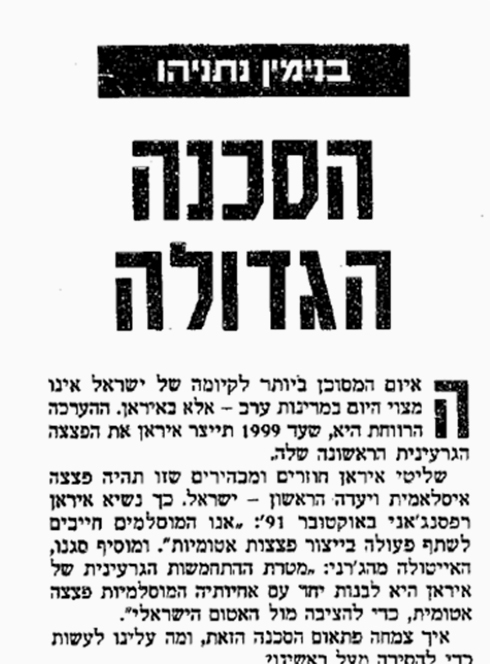 "The most dangerous threat to Israel's existence does not lie in the Arab countries – but in Iran," then-MK Benjamin Netanyahu wrote in a Yedioth Ahronoth column in February 1993. "The rulers of Iran have said repeatedly that they will have an Islamic bomb and that its first target is Israel," he argued in a piece titled "The greatest danger," claiming that Iran will develop its first nuclear bomb by 1999 – 16 years ago. Netanyahu cited then-Iranian president Hashemi Rafsanjani as saying in October 1991 that "the Muslims must cooperate in the production of atomic bombs". He also quoted the vice president of Iran at the time, Akbar Rafsanjani, who said: "Iran's aim in obtaining nuclear weapons is to build together with its Muslim sisters an atomic bomb, in order to put it up against the Israeli atomic bomb." Netanyahu, who served as a member of Knesset at the time, wrote about the Iranian regime 22 years ago, saying that "it is our duty to make sure, in advance, that it (the regime) will not obtain the tools necessary to realize its aspiration." He added: "We can't rely on the assumption that rational considerations concerning a possible Israeli response will intimidate this fanatical mentality. Deterrence alone is not a sufficient Israeli response to the danger of the Muslim bomb. Israel must act decisively to thwart this threat that endangers our very existence." Netanyahu called on the United States and the Western world to implement policies that will prevent Iran from acquiring technologies that could be used to develop nuclear capabilities: "Additionally, we weed to work in other arenas in order to reduce Iran's ability to build the scientific and industrial infrastructure needed to develop a nuclear bomb." Oded Yinon from Jerusalem responded to Netanyahu with a letter to the editor, writing: "MK Benjamin Netanyahu is instilling fear in all of us with his stories about Iran's nuclear bomb and the Iranian threat. In his article, he describes a threat, which in the worst case is a potential scenario, while IDF Chief of General Staff Ehud Barak declares that presently, there is no substantial threat from Iran. International newspapers, such as Newsweek, discuss Iran's weakness in details. But Netanyahu, the Iranian affairs analyst, believes otherwise. It's his right, but why is using Iran for political gain? In 1996, after Netanyahu was elected prime minister, Arnold Beichman, a researcher and columnist for Washington Post, wrote that Netanyahu will not hold back from striking a surprise blow against Iran. He noted that the Iranians were very close to being able to launch conventional missile attacks on Tel Aviv. "Netanyahu will not be able to ignore the Iranian threat," he wrote. Advertising Standards Authority bans Israeli tourism ad for 'misleading consumers' on status of Jerusalem. Britain's advertising watchdog banned an Israeli government tourism ad on Wednesday, claiming it suggested that the Old City of Jerusalem was part of Israel. The newspaper brochure showed a panorama of the walled Old City with the text "Israel has it all", and was ruled misleading by the Advertising Standards Authority (ASA), which said it implied the UNESCO World Heritage Site was part of Israel. The dispute is an emotional subject as the area contains places precious to Christians, Jews and Muslims, including the Church of the Holy Sepulcher, the Western Wall and al-Asqa Mosque. Following a complaint, the ASA ruled the title of the brochure "Israel Land of Creation" and references to Old City attractions was misleading and banned the advert from appearing again in its current form. "We understood that the status of the territories in question was the subject of much international dispute," the watchdog said. "We therefore considered the presentation of the ad would mislead consumers into believing that the Old City of Jerusalem was part of Israel and into taking a transactional decision that they would otherwise not have taken." The brochure included a photograph showing the golden Old City landmark and Muslim shrine the Dome of the Rock, with the modern buildings of Western Jerusalem in the background. Text on the image read: "Everyone falls for the Old City, with its narrow (and car-free) alleys, teeming pilgrims and bazaar-like buzz." 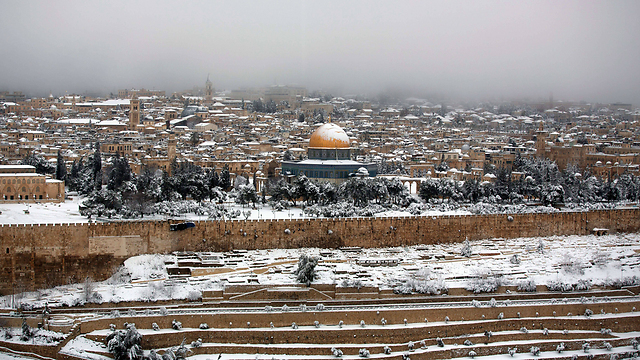 In its defense, the Israeli Government Tourist Office denied that the brochure implied East Jerusalem and its Old City were part of the state of Israel. "They said the ad did not seek to make a political statement and believed it would be inappropriate for it to do so," the ASA ruling stated. "Rather, they believed the leaflet provided practical information that made clear that visitors to the places referred to in the ad, such as the Old City of Jerusalem, could only be visited via travelling to Israel." Young Israeli student allegedly throws bottle at MK Zoabi during election panel at the Ramat Gan College of Law and Business. An election panel has ended in violence after a firebrand Arab lawmaker was allegedly attacked by an Israeli student in central Israel Tuesday. The incident took place at Ramat Gan College of Law and Business and according to suspicions and a video obtained by Ynet an Israeli student poured a soft drink on MK Hanin Zoabi, known for her polarizing views on Israel and the Palestinians. Zoabi was recently barred from running in the March 17th elections, but the High Court later overturned the ban, allowing her to vie for reelection as part of the United Arab party list. Zoabi is originally a member of the Balad party – a party with a strong nationalistic Palestinian strain. According to the police, during the event, a 28-year-old man from Ramat Gan was arrested for allegedly throwing a bottle at the lawmaker. A Palestinian flag was also waved and might have triggered the violent protest by radical rightwing activists. The event was also attended by a number of far right activists from the anti-Arab Otzma Yehudit (Jewish Power) party, including Baruch Marzel, who was also banned from running – a ban that was overturned as well. 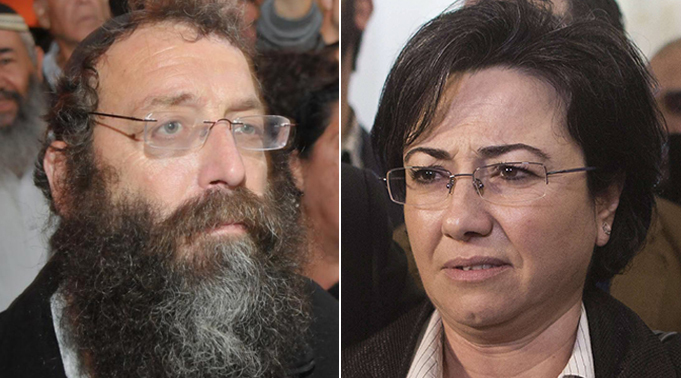 Before the event, Marzel wrote on his Facebook page "Zoabi, I'm coming for you". In the post, the rightwing politician slammed the college for agreeing to host Zoabi. He urged supporters to meet him outside the event and help him "wipe that smile off her face." After the incident, the party posted an image on their Facebook of Zoabi wiping herself from the liqud thrown at her, with the text "We kept our promise. We wiped her smile away". "The current election campaign continues the wave of racism, exclusion, and violence that characterized the latest government's tenure," said Aiman Uda, chairman of the United Arab List. "It's sad to see that even in academic institutions, it is no longer possible to have an open dialogue and present an array of opinions. "The violence against MK Hanin Zoabi and her team derives from serious and dangerous statements by public representatives who, rather than behaving responsibly, incite hatred and anger in an attempt to gain votes at the ballot box. The united list will continue to act against violence and to encourage a far and democratic debate." Labor MK Michal Biran said that during the chaos, she was elbowed in the stomach and almost knocked off a flight of stairs. "It was violent and shocking," she said. "Both sides arrived already riled up and did not allow us to restore calm." The college condemned the incident, saying it was a provocation on part of both Marzel and Zoabi. This is not the first time an Arab lawmaker has been attacked: In 2012, a young girl spat at MK Ahmad Tibi (United Arab List-Ta'al) was following a political debate at Bar-Ilan University. The incident also took place at an event involving the far right party - then called Otzma LeYisrael (Strength to Israel). Arab students claimed that at least three people had spat at Tibi, while Jewish students said just one girl had done it. In the same year, then-MK Anastassia Michaeli (Yisrael Beiteinu) threw water at MK Ghaleb Majadele (Labor) after he called her a "fascist." "Majadele will learn not to insult women. He hurt the honor of the Knesset and of this place," Michaeli said afterwards. She was later sanctioned for he actions by the Knesset and was also removed from the party's ticket during the following election. US deputy secretary of state says tensions between Washington and Jerusalem could stretch into 2016; Kerry flies to Saudi Arabia to quell fears of nuclear Iran. A top US official Tuesday warned that the current tensions between traditional allies US and Israel could last until the end of the Obama administration in 2016. "There are moments of significant agreement and then there are moments of tactical disagreement," US deputy secretary of state Antony Blinken told French radio station Europe 1. "That's the nature of things and I imagine that will continue for the last two years of the Obama administration," added Blinken, who spoke in French. Prime Minister Benjamin Netanyahu is poised to go to Capitol Hill on Tuesday for another round in an increasingly heated battle with the White House over Iran's nuclear ambitions. Obama on Monday lashed out at the Israeli prime minister, pointing to Netanyahu's attacks on a previous interim US-Iran deal that paved the way for this week's ongoing talks in Switzerland. Blinken stressed that Obama had spent more time in contact with Netanyahu than any other world leader but warned that the Israeli prime minister's speech could have "a bit of a corrosive effect" on ties. "It does not create trust," said the diplomat, stressing nevertheless that "the U.S. commitment to Israel's security will not change." Iran and the United States Tuesday returned to the negotiating table for a second day of talks, as a political storm over the issue unfolded thousands of miles away in Washington. 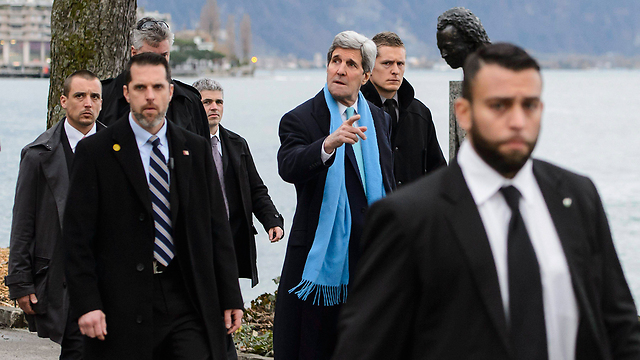 By the shores of Lake Geneva in the town of Montreux, US Secretary of State John Kerry met with his Iranian counterpart Mohammad Javad Zarif as they try to pin down a political framework for a deal to rein in Tehran's nuclear programme by a March 31 deadline. US officials said they began their talks at 9:30 am (8:30 am GMT). After months of discussions, the two men launched this latest round of talks Monday, and are due to continue negotiating until Wednesday afternoon, when Kerry will fly to Riyadh to meet King Salman to reassure the king that any nuclear deal with Iran is in Saudi Arabia's interest, despite the country's fears it may boost its rival's support for Shi'ite Muslim interests in the region. Convincing Saudi Arabia to accept any agreed nuclear deal is important to President Barack Obama because he needs Riyadh to work closely with Washington on a host of regional policies and to maintain its role as a moderating influence in oil markets. The main critics of the US push for a nuclear deal are Israel and congressional Republicans. But Saudi Arabia is skeptical too that any agreement would only let Iran devote more cash and energy to Shi'ite proxies in Syria, Iraq, Lebanon and Yemen, escalating conflicts. "The Saudis fear Obama will give the Iranians a deal whatever the cost because it is important for his legacy, and that Iran will get a certain regional status in exchange for an agreement," said a diplomat in the Gulf. Kerry met Iranian Foreign Minister Mohammad Javad Zarif in Montreux, Switzerland, on Monday at the start of up to three days of negotiations to try to meet a self-imposed deadline to achieve a framework agreement by the end of March. He will then brief Saudi Arabia's new king on the talks, and meet other senior Gulf officials later in the week, in an attempt to convince them that a diplomatic solution to the long-festering crisis over Iran's atomic program is in that country's interest too. Saudi's anxiety about an agreement has fuelled a flurry of diplomacy in recent days to bolster unity among Sunni states in the Middle East in the face of shared threats including Iran, analysts say. Washington shares Arab concerns about Iran's role, particularly in Syria and Yemen and through its ties to Lebanon's Hezbollah militia, a senior Obama administration official said, on condition of anonymity, but added that there was a "very substantial" U.S. military commitment to Gulf allies. "What we need to do is have the appropriate strategies to counter any provocative and destabilizing behavior... it's going to depend on what can we do effectively in places like Syria and Yemen," he said. US officials are unwilling however to outline what strategies might curb Iran's regional influence, and Washington's record in Iraq, Syria and Yemen - where armed Iranian allies have since flourished - has caused Saudi Arabia great anxiety. The country's trust in Washington during the Iran talks is also still recovering from the sudden move in late 2013 towards a nuclear deal, when Saudi officials were blindsided by the revelation of months of secret talks between the US and Iran. "They are very, very nervous about the way we are moving forward," said a Western diplomat who tracks the issue closely and said Riyadh feared a "lose-lose situation" in which Iran either gained an atomic weapon or was freed from sanctions. Riyadh has long been worried about Iran gaining nuclear weapons capability, something that once led King Abdullah to ask Washington to "cut off the head of the snake" by striking Iran, diplomatic cables released by WikiLeaks showed. But it now sees Iran's involvement in Arab countries, particularly its backing of Syrian President Bashar al-Assad, its support for Iraqi Shi'ite militias and its ties to the Houthi group that has seized control in northern Yemen, as a more urgent problem. A senior State Department official told Reuters: "Secretary Kerry will make clear we understand the concerns they have about the region's security, concerns that we also share." Saudi Arabia slammed on Monday the ongoing Israeli attacks on the Palestinian people and the violations of their inalienable human rights. 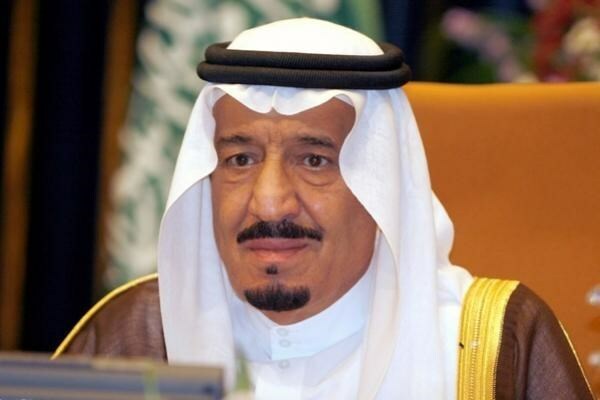 The Saudi Minister of Information, Dr. Adel Zaid Al-Toraifi, said in a statement issued following a cabinet session chaired by King Salman Bin Abdulaziz, the Council of Ministers condemned Israel’s continued violations of the legitimate rights of the Palestinian people. To mark the launch of the Committee on the Exercise of the Inalienable Rights of the Palestinian People at the United Nations this year, the cabinet called on the international community to assume its responsibilities and work on fostering the peace process stalled because of Israeli obstinacy. The cabinet further urged the international community to work on halting the Israeli occupation of the Palestinian territories and push for the establishment of a Palestinian state having Jerusalem as its capital. The King further briefed the cabinet on his talks with the Palestinian Authority Chairman, Mahmoud Abbas, who had popped in Saudi Arabia last week.